Solar in Latin means “Sun”. It is very powerful source of energy. Solar energy is Renewable form of energy. solar energy is the radiation that reaches the earth. We can use solar power in two different ways: as a heat source and as an energy source. When we use solar power, it is not depleted when used, this makes solar power a renewable energy source. Solar energy does not cause pollution, so it is environment friendly. Solar energy can be used for heating up homes and buildings. Solar thermal energy refers to using the sunlight to produce heat. Heat results when photons, packet of light energy, strikes the atom composing a substance exciting them. Electricity produced from sunlight through photovoltaic systems. Photovoltaic energy is conversion of sunlight into electricity through solar cells. When photon strike a solar cell then It is reflected or absorbed. The absorbed photons provide energy to generate electricity. It is renewable as it never gets depleted when used. It is having diverse applications like solar water heats, solar cells, solar cooker etc. It is having low maintenance cost. The above concept of solar power is introduced to you which is having diverse application. 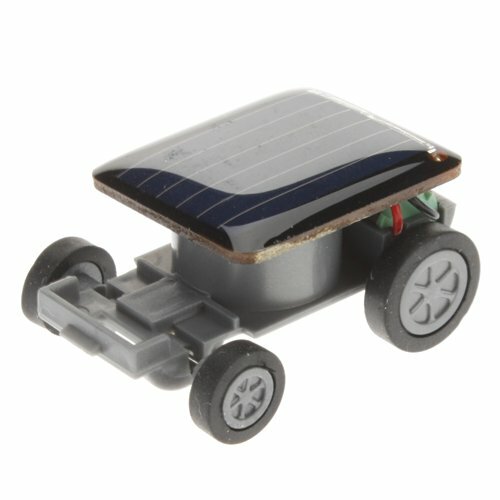 SOK has used solar power in their toys Like Rechargeable Solar Power Car Robot Kit, Educational Solar Toy, Robotime Solar Energy Combat Plane, Solar Power Eco-House Science Kit. DID YOU LEARN ABOUT TORNADOES ?